Khotin - New Tab. Vinyl LP. Bleep. Khotin pops up on Vancouver’s excellent Pacific Rhythm for a vinyl release of his 2017 cassette New Tab. 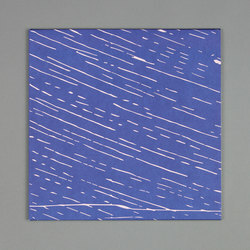 These ten tunes are lovely, tranquil synthscapes reminiscent of the recent album by E Ruscha V. The album’s first half is almost wholly devoid of drums, instead encouraging the listener to luxuriate in the charming, airy atmospheres Khotin conjures from his electronics. Imagine a more positive take on the sounds of Huerco S.’ West Mineral Ltd. The grainy recording quality of New Tab will also bring comparisons to the lo-fi house sound of Ross From Friends, Mall Grab et al, and Khotin makes concessions to this in the record’s second half. ‘Fever Loop’ and ‘Health Pack’ are particularly lovely beat jams.